The polar vortex might make you think that spring might not come, but super blood moon or not, the spring equinox will come to pass. And Vera Bradley is ready for it with its fresh florals and a novelty print that will make everyone want to head to the beach. 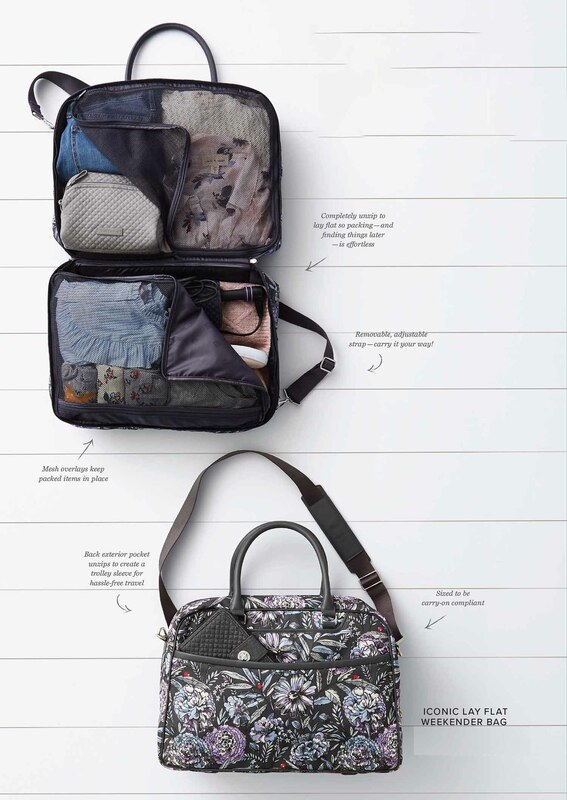 Spring break and summer travel mean snagging your favorite travel bags, totes and crossbody bags. New Beach and whimsy items provide a reason to stop and shop this season! Optimize for the beach with the new Vera Bradley embroidered straw tote. This fan favorite novelty embroidery features nautical details like turtles, shells and anchors. And the fun part – it can hold your sunglasses, sunscreen, hard copy book and your iPad, plus a bevy of things like the very important iPhone. This straw tote is so pretty that it can even have a starring role in your Instagram feed! Oh, don’t forget your beach towel! The new carry-over styles are spring break must-haves! Weekender and duffel bags are now available in both solids and new prints. 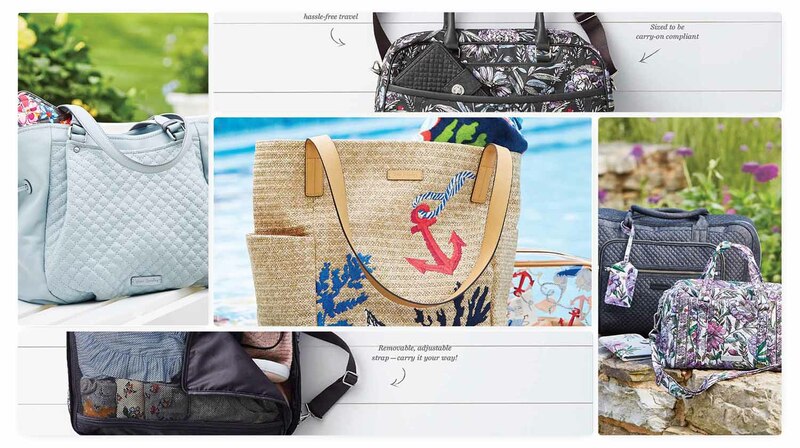 Best of all, a new leather collection makes it an entirely new Vera Bradley yet remains true to the brand’s DNA. Also, packing is now so much easier with Vera Bradley’s newest travel companions laid flat for perfect packing. No more searching at the bottom of the bag for essentials or stuffing to make it all fit. Everything is organized and easily accessible. Now, the only thing we need to do is wait for spring!